Razer and Tencent, two of the biggest worldwide powers in the gaming business, have joined forces to work together. 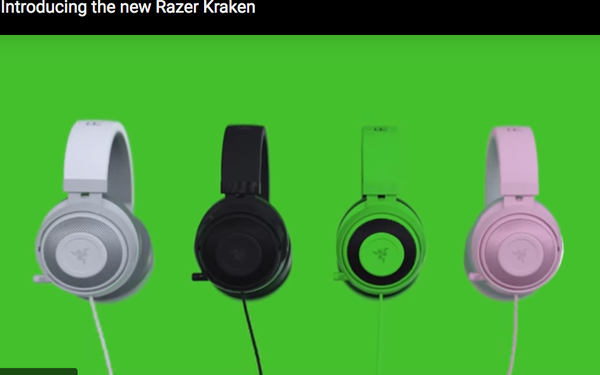 San Francisco and Singapore-based Razer makes everything from headsets and mouses to routers and laptops, targeted to the world’s 2.4 billion gamers, a crowd that shows no sign of thinning out soon. It also marketed the first smartphone specifically for gamers and operates Razer Gold, one of the world’s largest “virtual credit services” for gamers. Tencent, along with being a Chinese conglomerate with streaming music and social sites, is also a major game owner worldwide, and happens to have a 40% stake in Epic, the creator of Fortnite -- already the world’s most popular game -- and other titles. The two companies announced an alliance in which Tencent will work with Razer to optimize its games for Razer hardware, including the phone and mobile game controllers, and collaborate on software like Razer’s mobile platforms and Razer Cortex mobile game launcher. They’ll also work on new ways they may be able to help each other, using Mother Razer audio technology through its THX Ltd. subsidiary. “With the strengths of Tencent and Razer combined, we are going to supercharge the mobile gaming industry,” stated Min-Liang Tan, Razer co-founder and CEO. The deal should resonate with gamers. Razer calls itself the “world’s largest lifestyle brand for gamers” and its triple-headed snake logo is as ubiquitous in gaming circles as the Budweiser sign at every old-sport stadium in the U.S.
Tencent’s immediate gaming plans may not be so clear. China cracked down on games last year, suggesting they were causing vision problems in youngsters -- so games like Fortnite and another worldwide hit Tencent owns, PlayersUnknown’s Battleground (PUBG), haven’t even been marketed there yet. Razer just announced its earnings for 2018, reporting record revenues of $712.4 million, up 37.6%.